Ok, in order to familiarize ourselves with the runs more, I'm going to be the information for each run up as well as the strategy for it. Today I'll start with Central Temenos - 2nd Floor, since this is today's run. Also: can we get this topic stickied? Last edited by Reizon on Tue Sep 15, 2009 4:42 pm, edited 1 time in total. • Susceptible to Magic Finale and Requiem even though it's light-elemental. • High Evasion, sushi or Madrigal recommended. Last edited by Reizon on Sat Sep 12, 2009 6:48 pm, edited 1 time in total. • Elementals have 25% physical and magical resistance, Avatars have high physical resistance. Carbuncle has neither, just high evasion. Elementals should pose no problems, kill as normal. Ifrit is tanked on the ramp(mages at top, melee/tanks at bottom) as standard with astral flow mobs(which means shell/barspells/magus roll, etc as well). Light elementals are the same as all the others. Being as they stand with Carbuncle, a pet pull or sac pull is necessary. Read the above posts for info on Carby's hp/resistance and such, simply we treat it like Ifrit; once elementals are dead and mp/hp are safe, Carby will be pulled to a nearby ramp and tanked like a standard avatar. Standard buffs(shell,magus roll, etc) and positioning(again mages on top of the ramp, melees on the lower section). Alright then, onto today's run. •Chests can be opened at any time, however if one is opened before others appear, no more will spawn. Before I break this down, let me say that this is a DD and mage heavy floor; whoever is doing the most damage is the tank, so cures and sleeps will be necessary for most of this run. How many mobs we kill and what chests we take will depend on how many people we have attending. 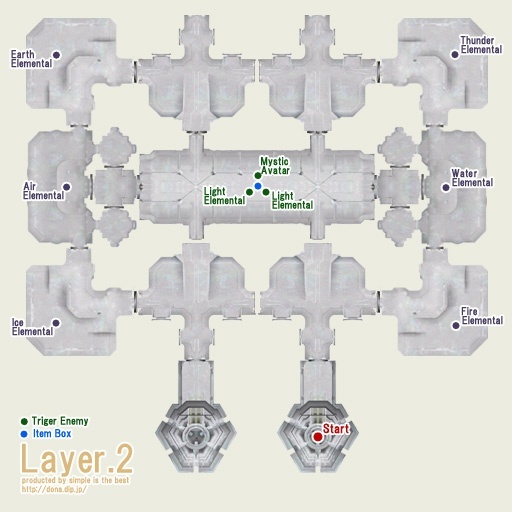 The general strategy for almost all of these floors is extremely simple; try to pull single mobs if possible, and in the case of a link the mobs will be slept and killed one by one. Kill until all chests have been popped, unless time constraints do not allow for it. General Strategy, keep an eye on hp and status effects since tigers can be nasty with their tp moves. Again, general strategy. Only move to be wary of is Dream Flower, see 2nd floor in post above for notes. This is slimes floor..and we all know how fun fluid spread is...because of that reason, we will be killing the 1 necessary for opening the portal and then possibly a few more depending on time. Pugils can hurt a bit, again keep an eye out for hp. All 6 birds are in V formation and all link when one is pulled, AoE sleep will be necessary. After they're pulled and slept, kill as usual. All in all, not too difficult, though mildly annoying. This is not a very difficult floor, just have to keep an eye on hp and some mob tp moves, also we will not be using the weaken,sleep and kill method. Materials Dropped: BLM, BRD, BST, COR, DNC, DRG, DRK, PLD, PUP, RDM, RNG, SAM, THF. • Elementals do not have the same physical damage reduction as normal elementals. They do reduce physical damage to a degree, but it is not enough to make melee virtually useless. • All Elementals have a Fast cast estimated to be about Fast Cast III equivalent. •Elementals have roughly 50% magic damage resistance, whereas the Avatars take full damage. •Taking one chest depops all remaining elementals and chests, but opens gate to next floor unless item chests are taken on that floor. •One of the two item chests pops a Mystic Avatar and the other contains ABCs and materials. •Spinning Claw can do over 1000 damage to everyone in the 15' range. •Hyperion is immune to magic damage (DoT works); Cronos is immune to melee damage; Okeanos is immune to ranged damage. •Link to both sight and sound, alliance hate. •One of the Gigas opens the vortex, a large Opo-opo drops the chest. •Killing all eight will pop the final chest. •Immune to Slow and Elegy *Not immune to slow. •Mages stay back to avoid Riddle (Max MP Down 15' AoE WS). •The Criosphinx can be pulled without linking. •The final chest has 7 Ancient Beastcoins and the Smoky Chip. •The final chest also has a chance to drop a Metal Chip. 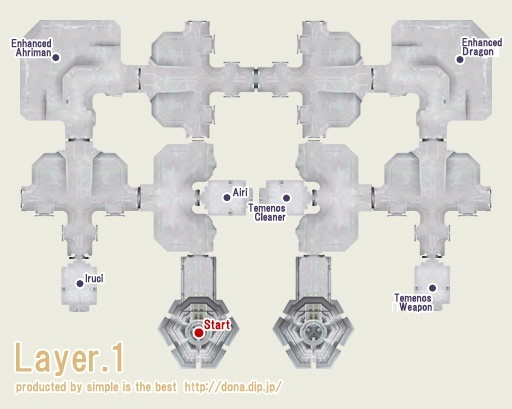 •The first four floors have 3 Time chests (5 minutes each), 1 Items chest and 1 Restore chest. •You can open all chests as soon as you find them (so you can use your 2-hours on each floor). •The Time and Restore chests are always out. The Items chest is dropped by a monster. •All mobs in this area are immune to Lullaby and Repose.